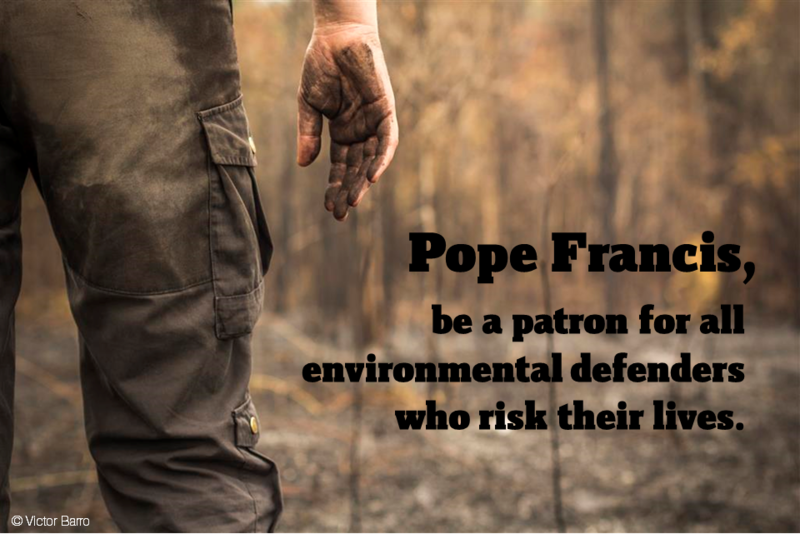 In a letter presented to Pope Francis this week a coalition of environmental and human rights organizations asked the Pope to be a patron for all environmental defenders who risk their lives by intimately caring about, and fighting for the preservation of nature, our common home. Together with the other signatories Planet Prosperity is concerned with the increase in violence against environmental defenders. Every week, three people are killed because they stand up for nature. An even larger number faces threats, intimidation and physical violence. To improve the safety of environmental defenders, the coalition calls on the Pope to condemn violence against environmental defenders. The coalition is composed of 76 environmental and human rights organizations from around the world.